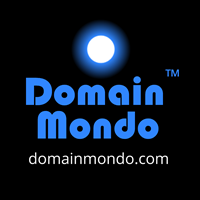 Domain Mondo's weekly internet domain news review (NR 2017-09-03) with analysis and opinion: Features • 1) New gTLDs 0-2: ICANN Nixes RySG Requests for $$$, 2)Names, Domains & Trademarks: .AFRICA Price Gouging?, Domain Name Do's and Don'ts, 3) ICYMI: Yahoo Data Breach Litigation, Internet Blacklisting, Censorship, Google Is A Bully, and more, 4) Most Read Posts. Editor's note: ICANN foolishly and incompetently expanded gTLDs (generic top-level domains) from just 22 (.com, .net, .org ... .gov, .mil, .edu, .int) to over 1200 starting in 2014, and now the new gTLDs hucksters (registry operators et al) are finding out that hundreds of new gTLDs are "unwanted and unneeded" and they are going broke, and want ICANN to "bail them out." ICANN has slowly begun to realize its own "pipe dream" about new gTLDs was delusional, and is now "looking out for #1" (#1 is the ICANN organization and its budget that pays the obscenely extravagant salary and benefits packages to ICANN management and much of the staff). • ICANN Provides Update on Review of the Community Priority Evaluation (CPE) Process | ICANN.org 1 Sep 2017: "... The CPE provider has been producing documents on a rolling basis. FTI is currently evaluating whether the CPE provider’s production is complete. Once the underlying information and data collection is complete, FTI anticipates that it will be able to inform ICANN of its findings within two weeks. Recently, the ICANN Board and the ICANN organization have received numerous inquiries for documentation and information about the Review. These inquiries have been and will continue to be addressed through ICANN’s Documentary Information Disclosure Policy (DIDP), and are published on the DIDP page ..."
• ICANN 2017 Nominating Committee Announces Selections | ICANN.org Sep 1, 2017: "ICANN Board of Directors--Avri Doria (North America) and Sarah Deutsch (North America) ..."
• .AFRICA Price Gouging? Africans complain of ZACR's Price Gouging on .AFRICA and .CITY Domains | DomainNewsAfrica.com. • Do's and Don'ts of Securing a Domain Name | entrepreneur.com: "... Don't waste money on extensions other than .com ..."
• Domain Name: 3 Early Investments Every Entrepreneur Should Make | entrepreneur.com: "... As a business owner for most of my life, I've seen companies mishandle or overlook myriad business investments, but the most common is the domain name space ... By taking more time initially to understand the company's brand and then determining the level of investment that it would take to buy a recognizable and memorable name, businesses can actually set themselves up for quicker and more efficient growth ..."
• Brandsight.com: Domain industry veterans Matt Serlin and Elisa Cooper join Brandsight, a new corporate domain name registrar. • Domain Name System [DNS] is a Prime Target for Hackers: according to a 2017 Global DNS Threat Survey, highest DNS-related attack types are malware (35 percent), DDoS (32 percent), Cache Poisoning (23 percent), DNS Tunneling (22 percent), and Zero-Day exploits (19 percent)--CIOinsight.com. Yahoo data breach litigation brought on behalf of well over 1 billion users--Yahoo must face litigation by data breach victims: U.S. judge | Reuters.com. If US-led internet oversight crumbles, tech sector will suffer | TheHill.com: "The truth, seldom discussed, is that the multistakeholder architecture is as unwieldy as the ponderous name that dignifies it." Google Is A Bully: Google forced out New America's Open Markets division. What's next? | The WashingtonPost.com: "Google is coming after critics in academia and journalism. It’s time to stop them." Internet censorship in China: new rules aim to prevent anyone who hasn't provided their real identity from commenting online | qz.com: China forbids anonymous posts in online communities and discussion forums, effective October 1. Rural America Needs Faster Internet. Microsoft and Congress Have a Cheap and Easy Solution. | TheWeeklyStandard.com: "... Microsoft President Brad Smith announced his company’s Rural AirBand Initiative, a non-profit, public-private partnerships that aims to bring high-speed Internet to 2 million Americans within five years. As part of the initiative, Microsoft wants to reserve at least three white spaces in every network. Microsoft will pay the upfront capital, then recoup the costs by revenue sharing ..."
Open Internet advocates push back as FCC moves to dismantle 'net neutrality' | StarTribune.com. Judge Cracks Down on LinkedIn’s Shameful Abuse of Computer Break-In Law | Electronic Frontier Foundation | EFF.org: "Good news out of a court in San Francisco: a judge just issued an early ruling against LinkedIn’s abuse of the notorious Computer Fraud and Abuse Act (CFAA) to block a competing service from perfectly legal uses of publicly available data on its website ..."
Don’t Lock Laws Behind Paywalls | Electronic Frontier Foundation | EFF.org: "It’s almost too strange to believe, but a federal court ruled earlier this year that copyright can be used to control access to parts of our state and federal laws—forcing people to pay a fee or sign a contract to read and share them. On behalf of Public.Resource.Org, a nonprofit dedicated to improving public access to law, yesterday EFF challenged that ruling in the United States Court of Appeals for the District of Columbia Circuit ..."
1. News Review | Report: ICANN's New gTLDs As Global DNS Malware (this post set a new record at DomainMondo.com for "most read" in just one week--and is already #3 on the all-time "most read" list).